Dr. Kevin Baird, Executive Director SC Pastors Alliance ( SCPA ) and incoming Director of the National Association of Pastors Alliances at the podium, standing with other supporters of SC Personhood Constitutional Amendment (S.719, H .4093), including other South Carolina pastors, SC Senators, SC Representatives, and Christian pro-life leaders. 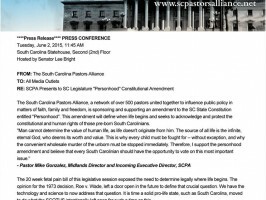 May 4, 2015 (LifeSiteNews.com) — Citizens of South Carolina will get to vote in November 2016 on whether the state should recognize unborn life from conception if a constitutional amendment introduced Wednesday in the state’s Senate gets lawmakers’ approval. It’s the first time the state has attempted to enact a personhood amendment to the state’s constitution. Personhood bills, however, have been introduced in the legislature every year since 1998, without success. The amendment, Joint Resolution S. 719, filed by Republican Senator Lee Bright, will need to pass with a two-thirds majority in both chambers of the legislature, for it to be allowed to then go before South Carolina citizens for a vote. “It is time to let the people vote,” pro-life advocate and Christians for Personhood Executive Director Steve Lefemine said in a statement. Bright, along with fellow GOP Senators Ronnie Cromer, Mike Fair, Larry Grooms, and Danny Verdin, pre-filed another similar bill, S. 129, last December, according to FitsNews.com. The S. 129 bill was referred to the Senate Judiciary Committee on January 13, and has still yet to receive a hearing. With constitutional amendment S. 719 South Carolina residents could have the opportunity to vote ‘Yes’ or ‘No’ on the November 2016 ballot to afford the same privileges and immunities given citizens of South Carolina and the U.S., including the right to life and equal protection under the law. Must Article I of the Constitution of this State be amended so as to add Section 3.a. to provide that the privileges and immunities of citizens of South Carolina and the United States shall not be abridged, so that no person shall be deprived of life without due process of law, nor shall any person be denied the equal protection of the laws. 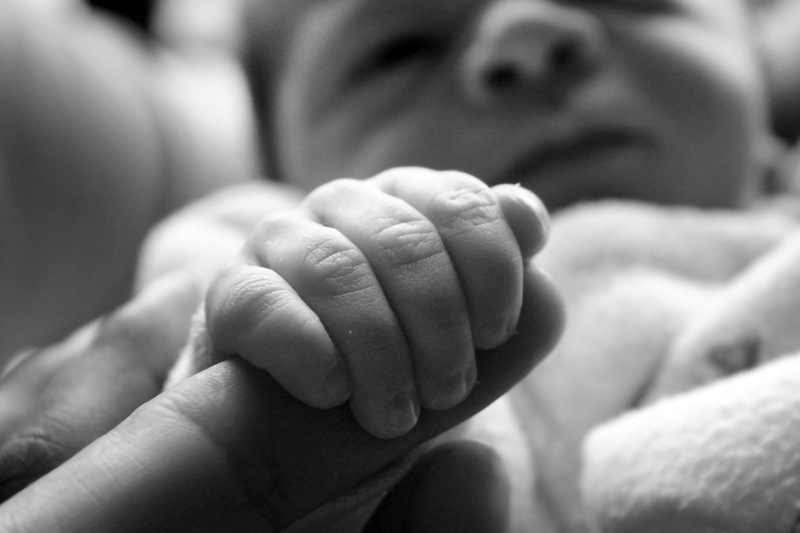 These rights shall extend to both born and preborn persons beginning at conception? South Carolina Republican voters approved a personhood constitutional amendment in June 2014 by more than 78 percent overall in the 45 counties where it appeared on the ballot. The wording is the same in the current amendment before the State Senate. Next up for personhood constitutional amendment S. 719 is its assignment to a Senate Judiciary Subcommittee for a public hearing and potential passage. 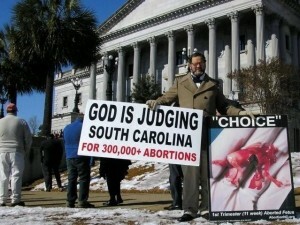 *Donations to Christians for Personhood are not tax-deductible.